B&B Herengracht 21. Charming bed and breakfast at the canal with narrow staircases and small comfortable rooms. Loes, the owner, is very friendly. You can book it here. De Belhamel. Romantic restaurant overlooking the Herengracht canal. If craving for fast food, you will find "patat" (thick french fries) in many streets. Anne Frank Museum. Touching museum with the secret annex. Van Gogh Museum. Museum with the biggest collection of those beautiful paintings. 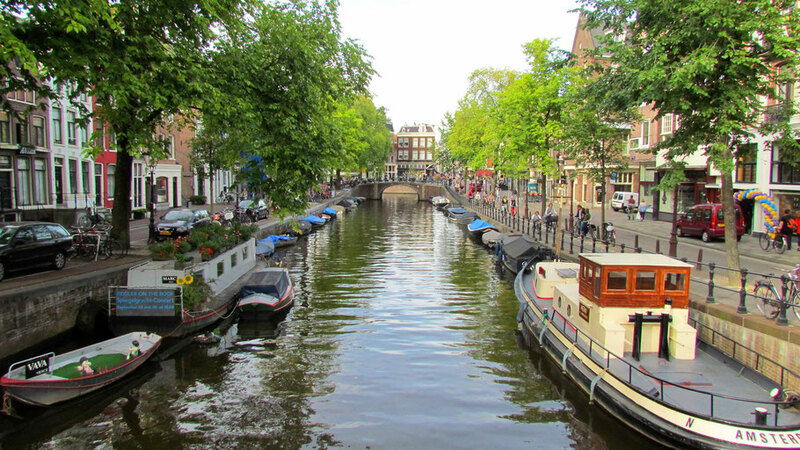 Enjoy a relaxed ride on the boat through the pretty canals or rent a bike. There are many things to shop, e.g. Smaak‘s accessories.